Is the Federal Government a Foreign Entity and Enemy of the USA? The Federal Government cannot be a Government Entity and a Dual Private Corporation! Null and Void! Immediately after elections, Obama unconstitutionally agreed to sit as the Chair of the United Nations while an elected sitting U.S. President. He immediately addressed the Muslims in CAIR, spoke in perfect Arabic, praised their accomplishments, not those of America, and promised them two States which I believe are Europe and America. He immediately signed an E.O. with the blessings of Hillary Clinton and John Kerry, a secret migration of Muslims linked to terrorist groups, into the USA requiring Americans to pick up the tab for their migration and living expenses and Health Care under his signature legislation which is Hillarycare morphed into Obamacare. These agendas were accomplished with the blessings of Hillary Clinton and John Kerry, Nancy Pelosi, Harry Reid, and the entire Democratic Congress and Senate as these career politicians took the Bribes for Votes. These were the clues that were ignored by the majority of the American people who never thought to ask, “Who are you,” and “Where is your Certified B/C?” and “Where are your Credentials?” These agendas are the agendas of the New World Order to create disorder and bringing the “People of the World” under the control of the members of the New World Order creating a world of Master and Slaves going back to the days of the Egyptians. Thus, you see the all-seeing eye on corporate logos and in the media and their finger symbols of those who are within that inner circle. You are witnessing Obama place his face on the U.S. flag and changing the flag and placing flags with gold fringe in public buildings and allowing people to burn the U.S. Flag on U.S. soil. The United Nations Agenda 21 implements the depopulation programs to wipe out 90% of the population under the guise of saving the planet and reducing poverty. Today, we are witnessing the invasion of the radical Muslims into the USA who threaten to dominate our nations and kill us or comply or die with their demands without Congress lifting one finger to identify, search, and vet, and health care check as they allow Obama’s open door policies to continue for nearly 8 years at the expense of the health and safety and lives of the U.S. Military and American lives. In fact, gays, women, and children are a huge target. We are witnessing America’s corporations such as Ford, Disneyland, McDonald’s, Starbucks and more supporting these New World Order agendas. Of course, the radicals are cheering these agendas on video! Surprisingly, the news reported that a U.S. General, Joints Chief of Staff and Chairman, Martin Dempsey and former Secretary of Defense, Leon Panetta, stated that we [Obama and Panetta and maybe other military officers] believe that they no longer need to seek permission from congress or inform them of what they intend to do, but shall seek permission from the U.N. or NATO, and other international bodies. Therefore, did they not state that they believe the as Obama when he stated that the U.S. Constitution and the U.S. Congress is “meaningless?” Have they not stated that their allegiance is to a foreign international body such as the U.N. or NATO, without being held accountable by Congress? Former Secretary of Defense, Leon Panetta, and U.S. Joint Chiefs of Staff and Chairman, Martin Dempsey, brazenly and openly stated before the Senate Armed Services Committee that their orders come not from the U.S. Constitution or U.S. Congress, but that the U.S. is subservient and takes its marching orders from the U.N., NATO, and as I stated before, “international bodies” and the American people have no democratic influence over their decisions. They stated that they may or may not inform the U.S. Congress who represent the American people. The American people are the government. Should the USA secede from the federal land known as the District of Columbia – which appears to be a foreign body – who according to the above video pledge allegiance to international foreign bodies and declares the U.S. Constitution and Congress “meaningless? Remember, the United States of America exists and operates according to the U.S. Constitution and any other laws outside of the U.S. Constitution make the U.S. A a dead body of land under foreign rule! If the current federal administration doesn’t uphold enforce, or respect U.S. Constitutional law for every man, woman, and child, regardless of title, than which laws have they pledged their allegiance and intend to enforce upon U.S. soil? Shouldn’t D.C. federal agencies, either be enjoined to the USA and reaffirm their allegiance to the U.S. Flag, and the U.S. Constitution, or declare themselves a foreign entity, who pledge their allegiance to foreign international bodies? Therefore, should we not assume that the federal government is a separate body from the United States of America and holds itself as a separate entity from the United States of America? It’s appears to be an island unto itself. Perhaps, this is why the Framers provided the federal government with “limited powers,” which they have now trampled upon. But, should we not wonder if they’ve declared the United States of America to be their stated enemy when they declared the USA – a separate body of land made up of separate states with separate laws, yet united and most recently, declared the USA to be no more than a “battlefield?” Why would federal representatives declare and implement the NDAA Law and Patriot Act as well as declare that they will punish Americans who oppose the current federal regime by implementing unread and unconstitutional laws? 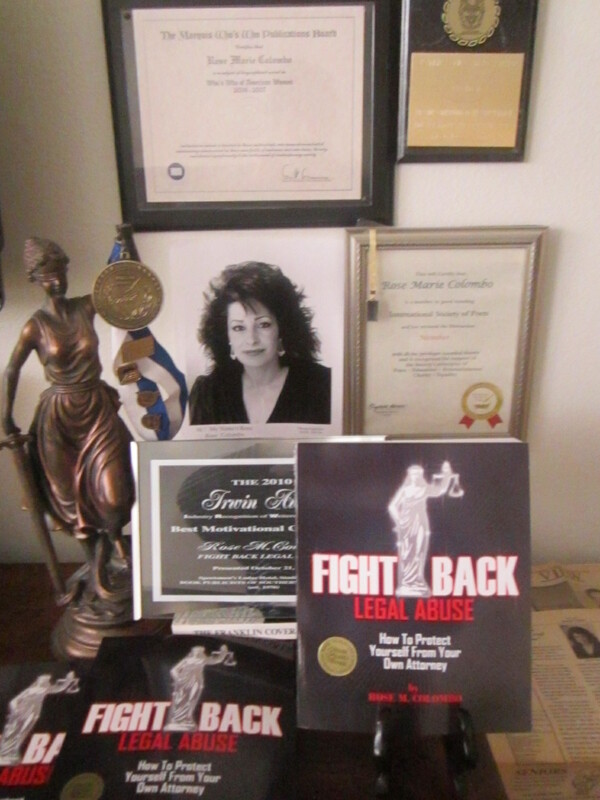 (Read “Fight Back Legal Abuse” and learn more about legal abuse due to unconstitutional laws). Who is their enemy and who are they spying upon and targeting? Should we not assume that the federal government under the Obama non-vetted regime have declared that they are a separate foreign entity and enemy of the United States of America since they declared that the USA is a “battlefield” and the constitution is “meaningless?” Senator Harry Reid recently declared certain Americans to be “domestic terrorists,” which is a very dangerous allegation. Yet, the oval office and Congress never declared it’s the USA,who is their enemy, as well as the patriotic loyal conservatives, who they appear to view as the enemy on U.S. soil reflected by their actions at the Bundy Ranch in Nevada and the Bessimer Farms, Gibson Guitars, Solyndra, WACO, and Ruby Ridge. Is America a declared battlefield, but by whose standards? Should Americans not believe that the enemy attacking the USA is the current federal regime? Furthermore, Obama declared, “America will never be at war with Islam” which leaves the only interpretation available reflecting that “Islam can be at war with America. So, does that mean that the U.S. Military could be targeting American civilians as domestic terrorists versus targeting foreign radicals living on U.S. soil? The Obama regime is attempting to disarm Americans which would mean that Americans can’t shoot back at the enemy, but would be no more than sitting ducks. So, who would our U.S. Military be ordered to target if America’s been declared a “battlefield?” Should we not ask if the majority of current Federal Government administrators declared war against the U.S.A. including loyal Christians, Conservatives, pro-Constitution Americans, U.S. Natural Born Citizens, veterans, elderly, sick, disabled, elderly, as well as the unborn future U.S. Natural Born Citizens and U.S. Military who refuse to fire upon Americans? Consequently, it isn’t any secret that Obama is purging the U.S. Military of loyal honorable military officers without the U.S. Military removing him from office for arming the enemy and tying the hands of the U.S. Military behind their backs risking the lives of every U.S. Military man and woman. Shouldn’t Americans expect to be punished under their dictatorial-type of behaviors which include unconstitutional, unread, and rubber stamped laws if loyal Americans or military personnel fail to comply? The rubber stamped unconstitutional laws appear to be the same agendas implemented during WWII by the Nazi’s who implemented an agenda that mandated people comply vs. non-compliance which is the Nazi style of law mandated without due process of law while their Nazi leaders made themselves immune to their own mandated laws and punishments! Should Americans not consider the unconstitutional and discriminatory laws that usurp the U.S. Constitution such as the NDAA Law, the Patriot Act, Obamacare, the Hate Crimes Bill, the Kill Lists, and the Armed Drones that have already killed Americans including a minor child who was a U.S. Citizen as well as foreign children in Libya, to be dangerous to our freedom and right-to-life? These laws are unread in many cases, rubber stamped “approved” which is a dereliction of duty in my opinion and a failure by Congress to perform their job duties as required of Congressional members. The unconstitutional and unread rubber stamped laws for the most part only target Americans, but exempt Muslims, gays, federal public servants, SEIU workers, or bundlers who support these agendas mandated by current federal government administrators. The Obama administration exempts themselves and those they favor from the law, but under which constitutional authority do they dare to be so bold as to violate their sworn oaths that mandate upholding constitutional laws? One reason could be that they secretly don’t support the U.S. Constitution and Western Civilization, but live off the taxpayers, while they use their positions to shred the U.S. Constitution and punish Americans who support the U.S. Constitution. For example, if a scriptwriter were to write a movie would they not submit a script that included blackmail or payola to suppress the truth while the players filled their bank accounts and grabbed control of an entire nation’s wealth? We could assume that the movie included selling out one’s National Security secrets and funding and arming the enemy while disarming their own countrymen and punishing them unjustly? Let’s hope that old movie isn’t up-dated! About 2009, not long after the non-vetted President, Barack Hussein Obama, who didn’t want Americans knowing or stating his middle name, Hussein, during the campaign, he shockingly sat as Chair of the U.N., which is prohibited by the U.S. Constitution, but congress didn’t care. Shortly thereafter, he accepted a valuable gold necklace gift from the Saudi King which should have been returned, but to my knowledge, not. Instead, the British were surprised when Obama returned their gift displayed at the White House for years. 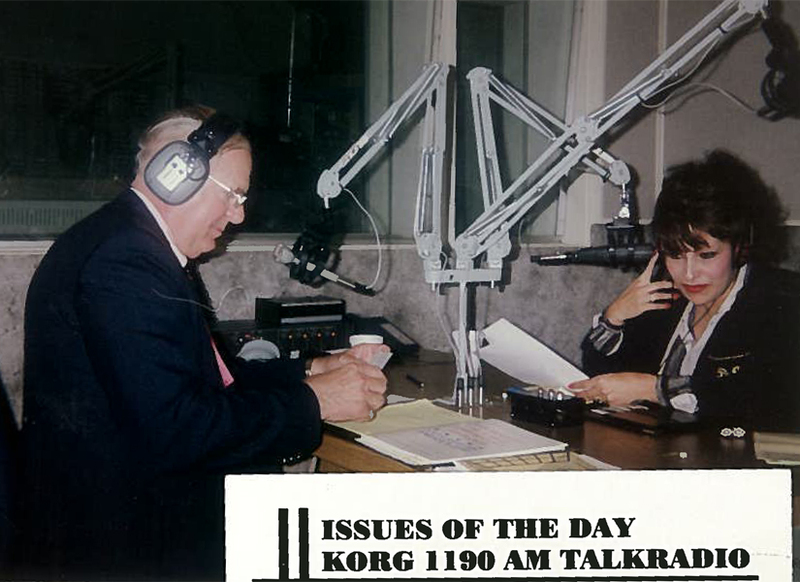 Since his election and after he declared his true beliefs about 2001, 2008, and 2012 and stated the same at other events as follows, “The U.S. Constitution is meaningless and no more than a charter of negative liberties [laws] that need to be changed,” the Congress should have taken action. Congress was silent. Congress has been complicit on every issue, Article II, silencing Americans, threatening Americans, spying and targeting on Americans, and destroying the greatest health care system, as well as scandals (Benghazi, Fast and Furious, Libya, Solyndra, AP, IRS, NDAA…..) and so forth. About 2008, I blogged many times and informed Americans of the non-vetted president’s declaration informing Americans that he declared the “U.S. Constitution is “meaningless.” but my information received little attention; therefore does it now appear that the U.S. Constitution and the U.S. Congress are dead after listening to the sworn testimony stated at the Senate Armed Services Committee? It appears that if the Constitution is “meaningless” and that same declaration remains the belief of a U.S. President, Barack Hussein Obama, as well as those in high-ranking positions of the federal government than public servants working within the federal government are above the law because they apparently don’t feel their sworn oaths are meaningful as well as their assumed allegiance when they swore to uphold the U.S. Constitution which was believed by We The People. It’s quite clever for the oval office, Congress, Senators, high-ranking Military Officers, and the U.S. Justices, who agree to hold themselves above constitutional laws, for it would stand to reason that they can’t be charged with High Crimes, Treason, or as Traitors or Sedition, or punished. The only people who can be punished by them would be loyal patriotic Americans who believe that the U.S. Constitution is alive and the law of the land. Under such a plan, the loyal law-abiding US Citizens who oppose this regime apparently would be the targets to be spied upon and punished under such an agenda. Is this why the illegals, foreigners from the Middle East, bundlers, donors and supporters of the Obama regime are rewarded with bonuses, elevated positions, excessive retirement packages, no-bid multi-million dollar contracts, Insider Trading and Bribes for Votes? Yet, loyal patriotic Americans. who oppose this regime, appear to be punished. In fact, Valerie Jarrett threatened to punish Americans who oppose their regime, which she announced, on international television. Since then, we learned through a Whistle Blower, Edward Snowden, that specific Americans and groups are spied upon and targeted. In fact, Americans have experienced an increase of police states and an increase of police behaving more as militant types than protectors in many cases. There appears to be an increase of police officers using unusual force or groping procedures against elderly Americans, veterans (even though these veterans served this country and kept them free), pregnant women, and targeted women, children, and many innocent Americans reported in the news to have been shot for no reason even if they’re unarmed and not a threat at the time of the event. Most recently, $800,000,000 reported in the news to be cut from Food Stamps, once again punishing the poor. So, will more Americans die from hunger and having their health care insurance cancelled, mandated abortions, and rationing and denying health care services to Americans, who must pay up or else be punished? Sadly, the Obama regime with approval of Congress is cutting Food Stamps for the poor by $800,000,000 in these tough economic times, but this regime takes excessive taxpayer-funded wages and COL increases with benefits and we must ask if the $800,000,000 is being transferred to fund Obamacare. It appears it’s a crime to be poor in America subject to punishment! Perhaps, it’s time for each Governor of each State to opt out of the”Corporation” allegedly owned by the Federal Reserve and Banksters and run by the World Bank. It is now alleged that Communist China will buy the Federal Reserve which would mean that Communist China would own the U.S.A. and control the world. The Federal Reserve is a sore problem for the U.S.A. who controls in secret America’s gold and tax dollars without accountability to the American people, which reeks of insanity to say the least! Consequently, shouldn’t the American people at least consider and ponder if the Federal Government in connection with the Federal Reserve to be viewed as no more than a foreign enemy of the U.S.A. and the American citizens based on the fact that they have refused to audit the Federal Reserve for public review and public scrutiny as this begs the question what do they have to hide? Shouldn’t the American people ponder and consider if the Federal Government, who has trampled upon “limited Powers” and is dictating to the States without congressional and constitutional authority ask each representative, where does their allegiance lie, if as stated by former Secretary of Defense Panetta, they shall not seek permission from Congress but from international bodies? Former Secretary of the Defense, Leon Panetta, made statements that shocked a nation under oath to the Senate Armed Services Committee on national television and recorded on video in front of millions of witnesses. Have they not declared that they, too, like President Obama believe that the U.S. Congress and the U.S. Constitution are “meaningless?” If the U.S. Constitution and U.S. Congress are “meaningless” than the U.S. is dead! Gone! Doesn’t exist! Is the word “nullification” familiar to the Governors? The only reason the U.S.A. exists is the fact that the U.S. Constitution exists! If the U.S. Constitution has been declared “meaningless” than the USA doesn’t exist, but foreign entities, international bodies, rule. The time has come for all good men and women to come to the aid of their country is it not? Perhaps, the states must now consider how to protect their citizens and perhaps secede from a separate body known as D.C. and these federal agencies as well as the federal public servants, who appear to have declared themselves exempt from the laws which they mandate for the citizens of the USA! They now hold themselves above U.S. Constitutional laws, which makes them non-U.S. Citizens based on the fact that all citizens of the U.S. must follow and abide by the Rule of Law, especially those paid to do so as public servants. Remember, only Citizens of the U.S.A. pledge their allegiance to the U.S. Flag and the U.S. Constitution, but those who have secret allegiances don’t place their hand on their hearts and pledge their allegiance or place their right hand on the Bible when swearing an oath. Every man, woman, and child, must abide by U.S. Constitutional and state laws, but it appears that’s been turned upside down since 2009! Shouldn’t Americans ask under which constitutional authority has the oval office and Congress and the Supreme Court granted to themselves the right to discriminate and exempt themselves and people, whether legal or illegals, Muslims, or gays, or anyone else who they favor, from all constitutional laws? The Framers created and established the U.S. Constitution for the protection of all citizens. As Americans know, the U.S. Constitution includes equality for all, but the current federal government has rendered laws that include blatant inequality. The current regime creates and approve laws that usurp the U.S. Constitution and change it which isn’t legal in my opinion and boldly writes discriminatory laws in favor of people who support the current regime. The majority of current federal public servants have declared the USA to be a “battlefield,” without boldly declaring who is the enemy of the USA. Such a declaration makes the federal government in D.C., a separate body from the U.S.A. Have they not declared war on the states, the Constitution, Bill of Rights, and the American people who oppose their foreign allegiance to the U.N. and NATO and international bodies? Are they not imposing tyrannical, unconstitutional, unread, and non-affordable discriminatory laws which include excessive mandates, excessive regulations, excessive penalties, excessive taxation, and excessive punishment for the American people living in the states of the USA which is outside the scope of constitutional and moral law? Under which constitutional authority are they declaring that federal workers in D.C., the oval office, Congress, and U.S. Justices can be favored and simultaneously mandate draconian laws for the taxpayers who pay their wages and elected them? Does the oval office, Congress, Senate, and U.S. Justices truly believe that they have constitutional authority or any legal authority to hold themselves above constitutional law contrary to their sworn oaths just because they work in the separate body of federal land known as the District of Columbia? They should remember that it is the Middle Class who pays their wages and it’s the Middle Class that they’re destroying. Should Americans not at least ponder why do U.S. Natural Born and generational long time naturalized Citizens who pledge their Allegiance to the U.S. Flag and their allegiance to the U.S. Constitution and to God and fellow countrymen be ruled by foreign laws since all unconstitutional and unread laws are foreign to Americans? And why are Americans being dictated to by non-vetted public servants, who are appointed or elected public servants, paid with tax dollars, who refuse to identify themselves or uphold U.S. Constitutional law? And, why are Americans paying excessive U.S. tax dollars to federal workers, who prove that they have little or no respect for America or the U.S.Military or the American people and the future U.S. Natural Born Citizens by snuffing out millions of babies before they take their first breath for-profit by forcing taxpayers to pay excessive taxes against their religious or moral conscience? Yet, they exempt those who over-populate with the goal to dominate the USA and the world!